One of today's major challenges is an increasingly faster work-pace, things must be done in less time by fewer people. The constant process of change has the effect of plans being postponed with reduced productivity as a result. The training is aimed at those who currently work with any kind of change within the organization, for example as a Manager, Leader, HR/Personnel-specialist, Project Manager, Consultant or Coach. How to lead the change process with the Transitions-model with the focus on the individual. How to get your employees involved in the change process. Neuroscience - how the brain is affected by change? Coaching approach linked to implementing change. We learn to understand the mechanisms of change and how we can reduce resistance to change and more effectively manage change. The purpose of the Transition-model is to meet the employees where they are by providing tools and strategies to maintain motivation and commitment to change through different phases. How we communicate successfully change/changes? Module 2 - Neuroscience - how the brain is affected by change? What has happened within the area of brain research/neuroscience, and how can I use it when I communicate, lead teams and when leading the process of change? Neuroscience is linked to behavior, feelings and disposition. Over the past ten years there has been a revolution in neuroscience. Using magnetic resonance imaging, scientists can now study how the brain behaves when we think, feel, or make decisions. The results provide new insights into how good leadership should be conducted. We go through the SCARF-model to show just how the brain reacts to threats in social situations. What is coaching and how can I use it. How to create a coaching culture? To increase motivation and involvement of employees through constructive feedback. Coaching skills according to ICF's core competencies and practical coaching exercises linked to changing situations. Presentation of the final report where you apply your new skills linked to your own process of change. Diploma. Module 1 – How to manage change with Transition-model. Effective change management with the Transition-model. 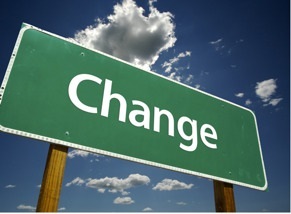 How do you include employees in the process of change? Reactions to change - communicate and adapting to the situation. Maslow's hierarchy of needs linked to the "social brain". Led by the brain - neuroscience – SCARF-model. SCARF-model linked to reactions to change. What is a coaching attitude and coaching leadership? Tools and methods to see the potential of its employees. Coaching change - practical exercises. Certified Change Coach is divided into 4 modules, spread over 2 + 2 + 1 days including diploma with hands-on practice and application between sessions. You will have created a personal change plan where you turn your ideas into concrete actions and insights. Limited number of seats. Registration is binding.